This month for the Polish Party we’re recreating the first nail art we ever did. 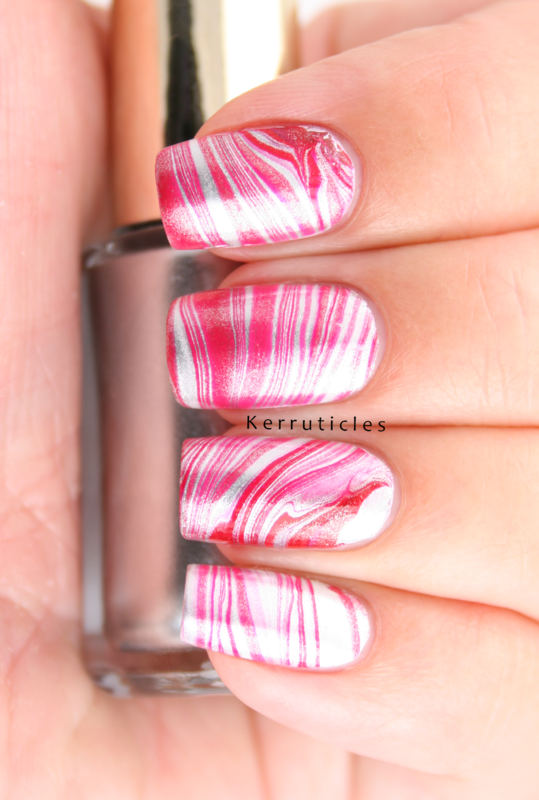 Mine was a water marble manicure – an awful water marble manicure – in red and silver. 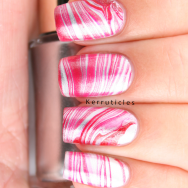 Goodness only knows why I tried to water marble for my first foray into nail art. So, I’ve recreated it. Although I’m not all that happy with this attempt either. A couple of the nails are good. But, the best nails are my two thumbs and my little fingernail on my right hand! But you don’t get to see those! I used two L’Oréal polishes: Femme Fatale (red) and Sublime Platine (silver). The red didn’t spread in the water quite so well as the silver, and it merged into it somewhat, to give a more pinky colour in places. Here’s my original manicure side by side with the new one. This was done nearly two years ago. I used Rimmel Rapid Ruby for the red, and while I didn’t ever make a note of what the silver polish was, I’m pretty sure it must be Barry M Foil Effects Silver, as that was the only silver polish I owned back then in my collection of about 30. 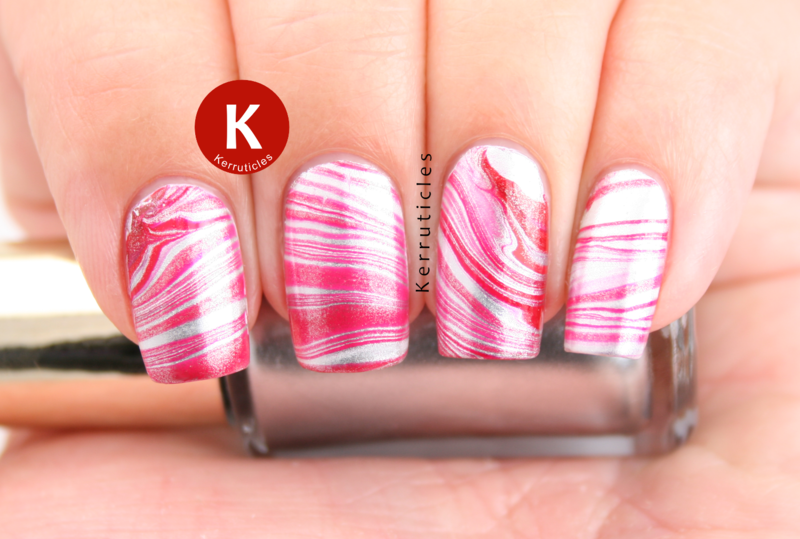 All manicure images above are copyright to Kerruticles unless otherwise mentioned.